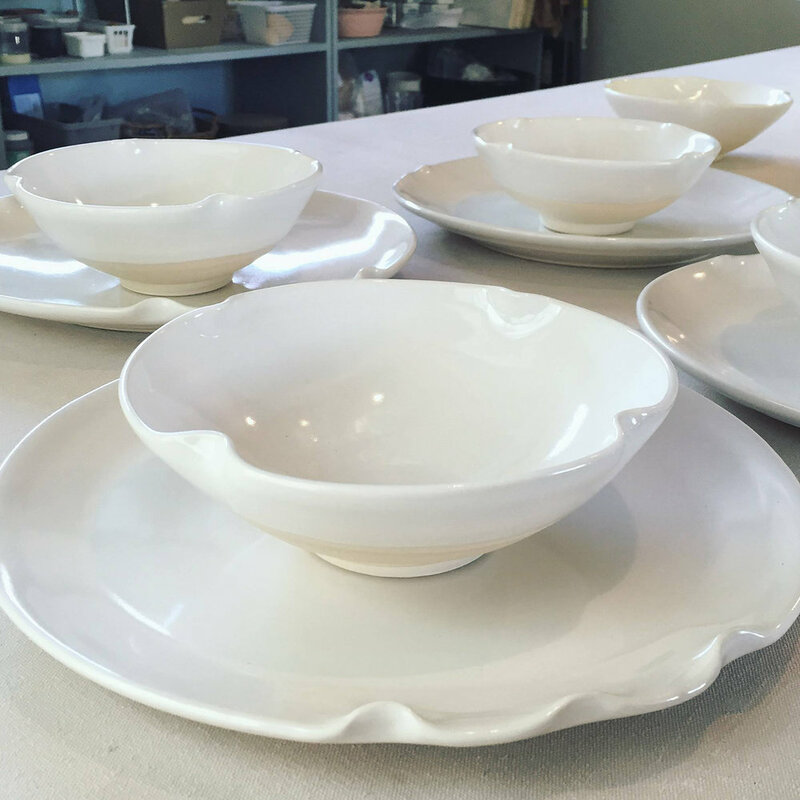 Tableware, Stoneware, 10" x 10" x 4"
Directions: From the SC State House, go north on Main St. Cross Elmwood Ave. Turn right onto Franklin St. At the fountain, turn right onto Marion St. The location is on the right. Studio is in back yard.